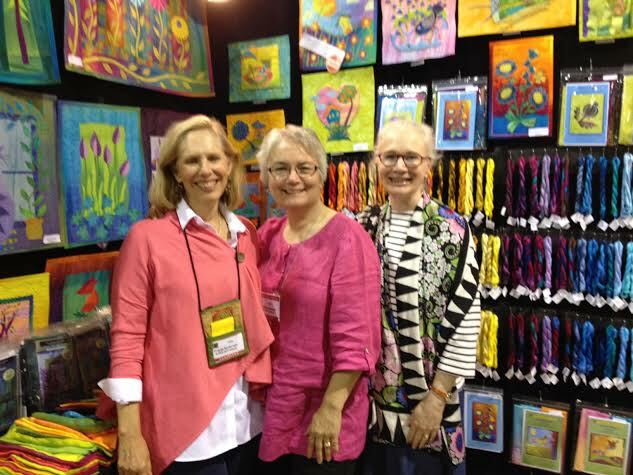 Laura and I will have our booth – #835 – ARTFABRIK/FRIESTYLE DESIGNS at the Madison WI Quilt Expo this week. We are in booth #835 please come by and say hello. You want to check out all of our hand dyed goodies. It will be like going to a candy store ! This is us with our good friend Jane Sassaman in our booth at the Chicago show in June of this year. Sorry Jane won’t be in the booth in Madison so don’t come looking for her. See that yummy pile of silk by my right hand, we’ll have that there too!